Most of us do not have a great relationship with our alarm clocks, given that their sole purpose is essentially to scream at us until we get up. The Kello smart alarm clock, however, is designed to help you to sleep better, snooze less and wake up earlier, all using a gentle approach. Kello encourages users to have a regular bedtime and wake-up time, but can push them to get up earlier for maxi productivity. It makes use of subtle nudges like letting users only make limited use of ‘snooze’ features, and urging them to stop looking at their smartphone at night. To help bring on sleep faster, it also uses a pulsing light effect that is designed to get users to slow their breathing to mimic a natural sleeping rhythm. Kello also has a built-in breathing exercise program just to purportedly help sleepers fall asleep faster. The process is guided by the Kello’s lights, and the process typically lasts around 20 minutes. That breathing mode and everything else is controlled through clock’s companion iOS / Android app. It’s where users can set alarms, choose music, and also use other sleep programs, like one to help fight jet lag. 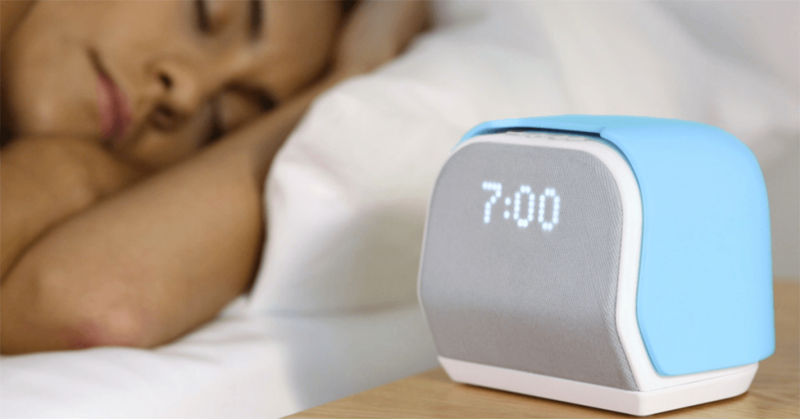 Kello alarm clock comes with Wi-Fi & Bluetooth connectivity which allows you to use it as a speaker for playing your favorite playlists from SoundCloud, Spotify or a number of podcasts from vTuner. Additionally, it includes a wide collection of nature sounds to fasten your sleep or create serene environment in your space.